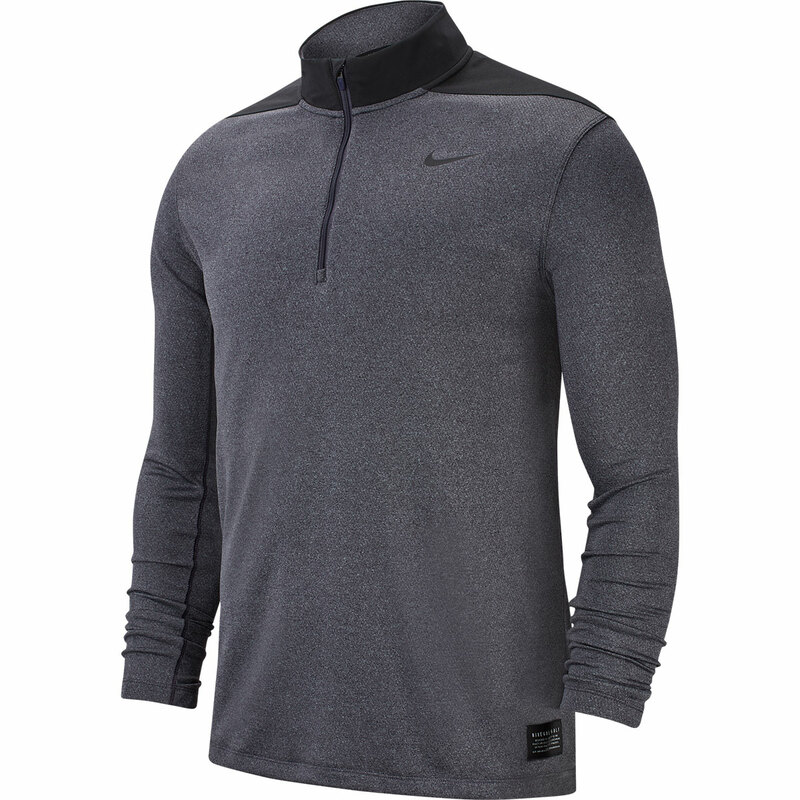 This high-performance sports layer has a natural stretch to keep you fully comfortable through the athletic movement of the golf swing. 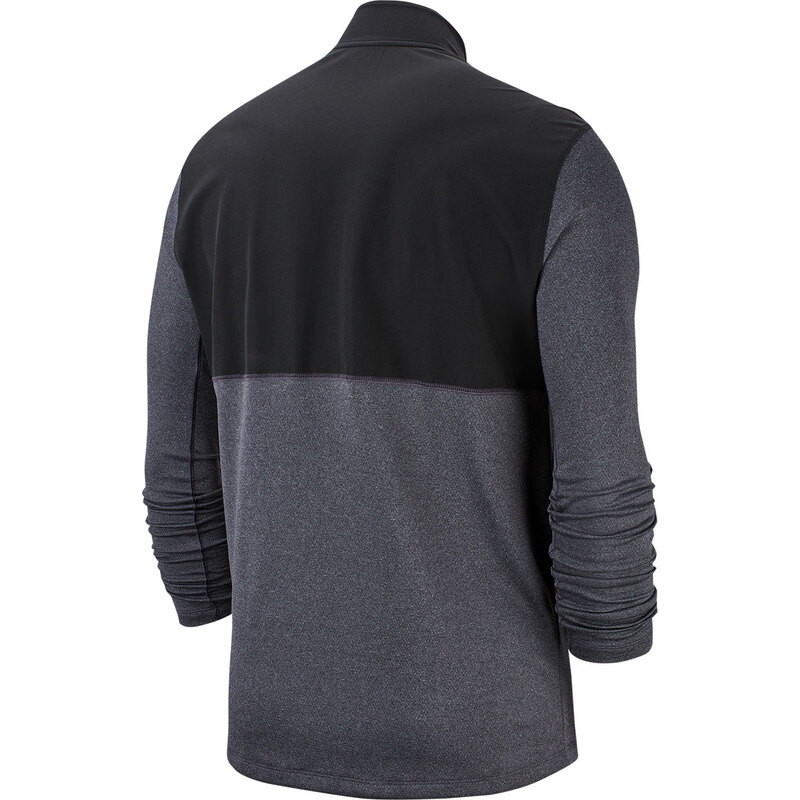 Plus has a soft feeling double-knit fabric which wicks moisture away from the body to keep you dry and less distracted during your round of golf. The design features a high collar and half-zip opening and has contrast colour shoulders and back panel for a more modern style. The garment feature a Nike Swoosh on the left chest.